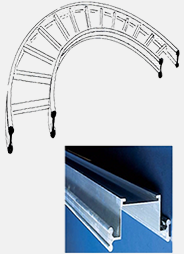 Slotted Suction Channelmade of extruded Aluminiumwith neoprene sealing lips. 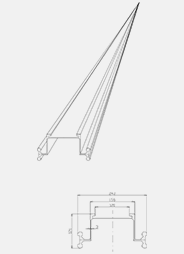 Any Radius from 4,5m upwards available. 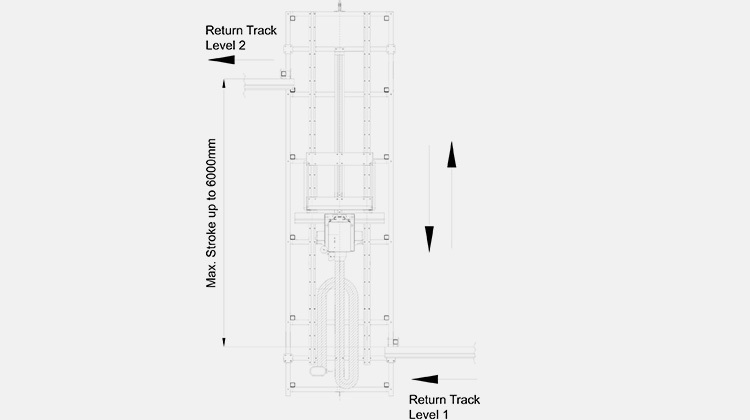 Return Rail made of extruded Aluminium. 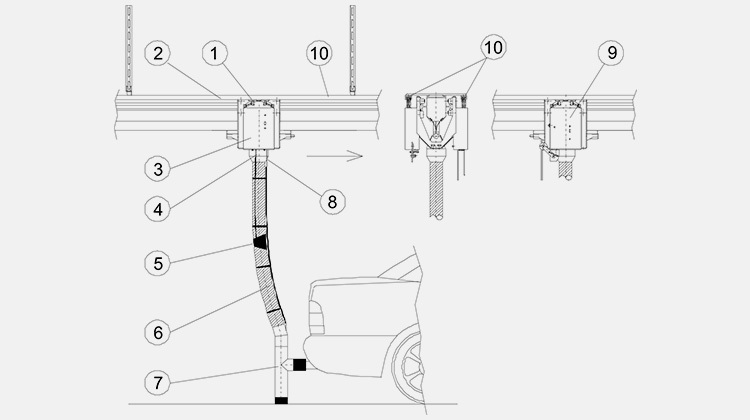 Full Automatic Vertical Shifter ensure the transfer of the hose trolleys between two return rails located at different levels. 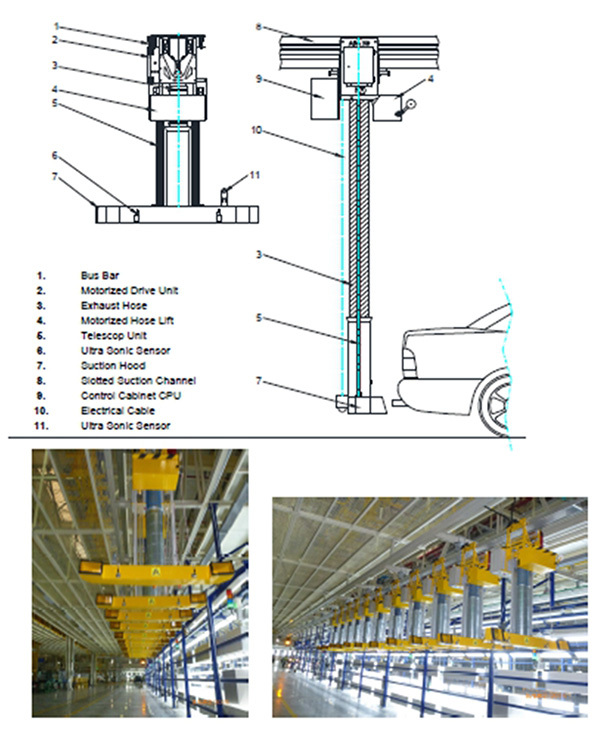 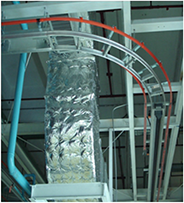 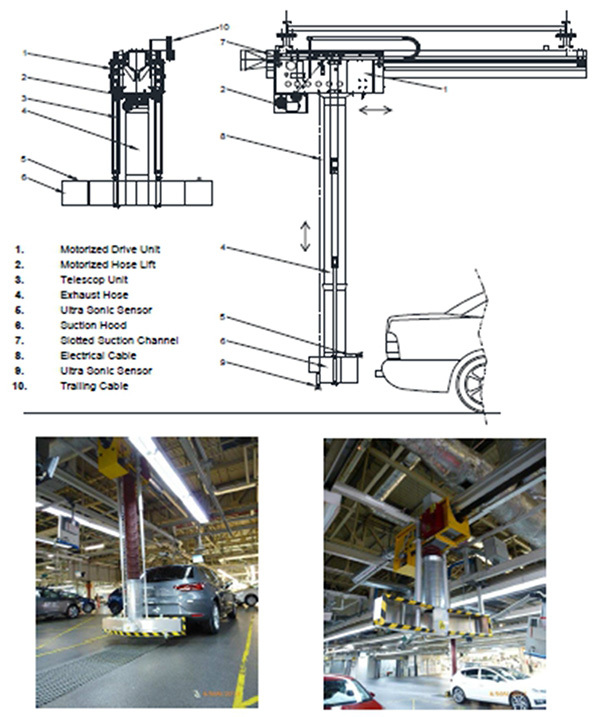 Facilitates an ergonomic installation into the automotive factories. 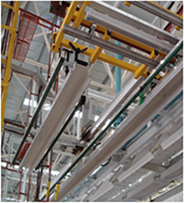  Maximum safety due to two-ways locks, limit switches and overload protection. 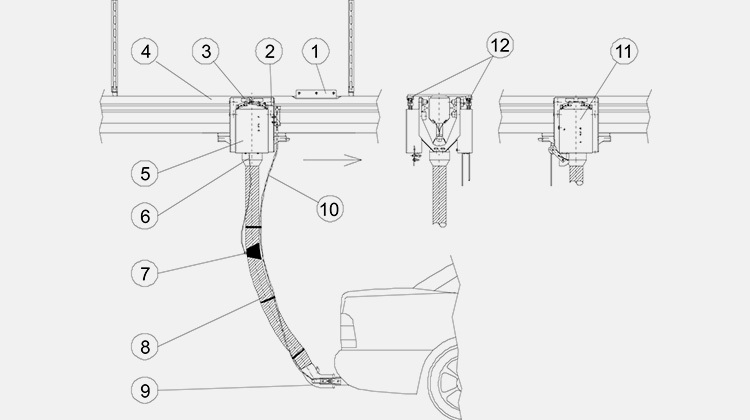 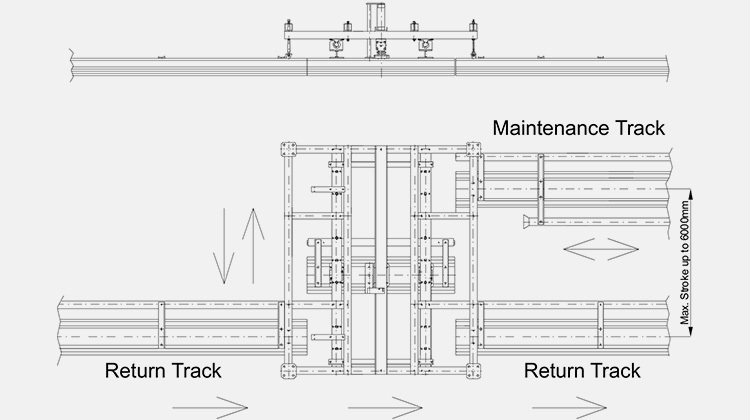 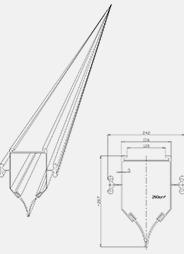 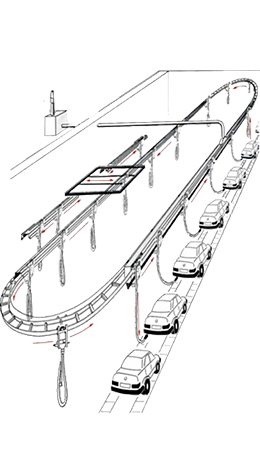 Full Automatic Horizontal Shifter ensure the transfer of the hose trolleys between two or more suction ducts and/or return rails installed parallel to each other.